This is a free tool available for download in the Tools page and within the Architect edition of Advanced Installer, starting with version 13.2. Sometime you may need to manually check if a certain vendor MSI is compatible with your current repository so you can ship ASAP onto the users. For this you can launch the tool and follow our wizard, in just a few minutes you will have your checks performed. The command line support is here to help you create an automated process for your packaging team. So that each time a new MSI is added in the repository you can have a script called that will run the tool and check the new MSI against the existent ones. This helps your team maintain a healthy set of packages at all times. 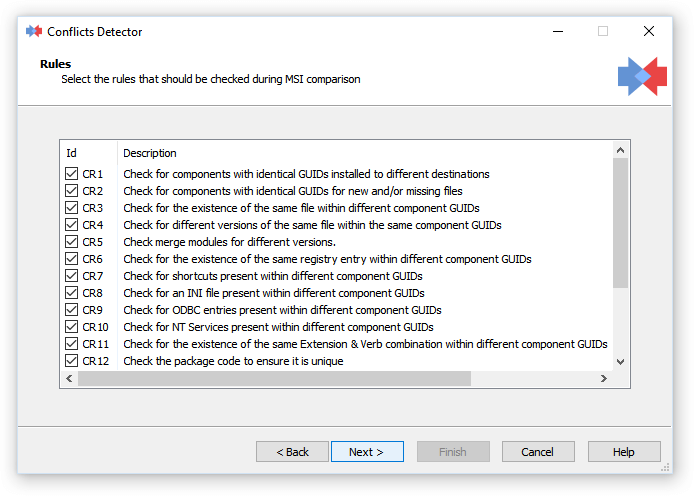 The MSI Quick Editor from Advanced Installer can help you create a new transform to fix the conflicts or edit directly the MSI. The highly intuitive GUI allows you to customize the MSI in just a few minutes, without having to check each table (the tool does this for you).